We are thrilled to now have the Phenomenal Oceans 74 ready for you. 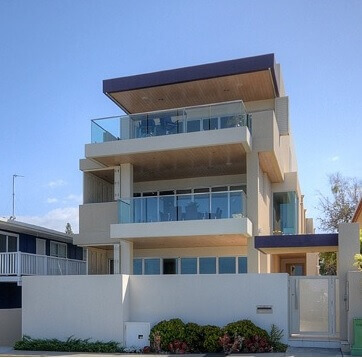 This property is right near Nobby’s Beach, features a rooftop deck and 6 bedrooms fit for kings! With stunning ocean views from all the living areas, the floor plan offers space and privacy for family and friends with separate living, work, entertaining and sleeping zones. This home includes a number of indoor and outdoor living areas, the most prominent being the stunning designer kitchen with marble bench tops and high quality appliances. 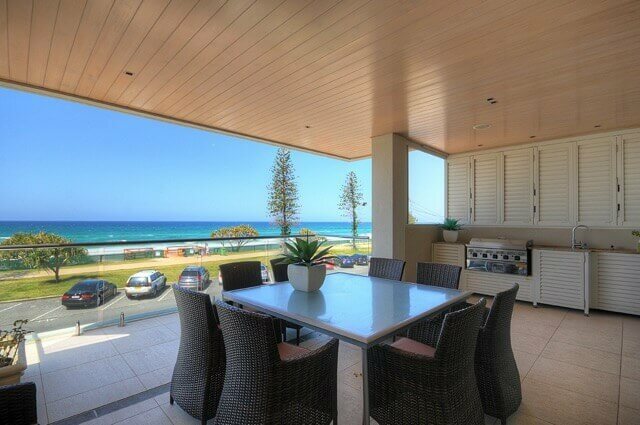 This designer kitchen opens out onto a large balcony with oceans views and a built in BBQ, perfect for a sunrise breakfast or sunrise dinner. The highlight of this home is the Master Suite (or Master retreat as we like to call it) which has stunning ocean views from its private balcony, spacious walk in wardrobe and a tastefully appointed bathroom with a large sumptuous spa bath. The Master Suite also has its very own kitchen! Oceans 74 is the perfect place for large groups or anyone looking for a taste of Luxury during their time on the Gold Coast. If this property sounds perfect for you, then call the team on 07 5592 3881 and begin the countdown to your dream holiday!